Hello everyone, and welcome to the first edition of Check Out Your Cards, our new blog post where I meet with a member of our identification team and ask them to tell me about some of the amazing cards that they’ve seen while working at COMC. There are over 3,380,000 unique items on our site – and that’s not even counting cards through our mailbox service that few people will ever get to see. It’s my goal to highlight some of these cards and let our ID staff explain what they find interesting about them. For this inaugural post, I sat down with Greg and picked his brain regarding a rare card from a mailbox user, a sneakerhead’s dream, a great celebrity autograph, and BGS success story. One of the great things about the mailbox, at least from the point of view of the members in our ID department, is being able to see some beautiful and rare cards. This Shaq, from one of the rarer inserts of the newer Panini Gold Standard, is one of the cards that caught Greg’s eye. He thought that everyone deserved a chance to see this 1/1. While COMC was originally a place for sports cards, there are some heavy non-sports hitters. Over the years we’ve added a number of Leaf Pop Century cards to our site. 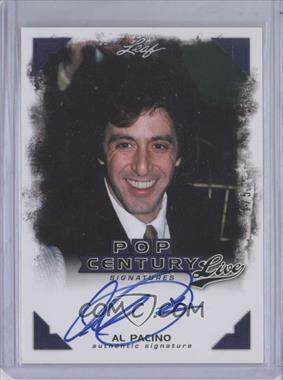 In recent memory, this is one of Greg’s favorites, as this is the first signed Al Pacino card that we’ve seen come through our site. We’re lucky to have items like this pass through our mailbox service. 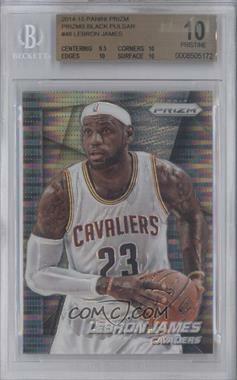 When I asked Greg what was so special about this Prizm Black card, he told me to think about this card like a success story. First, it’s a hard card to pull. Second, even fresh from the pack a card is not guaranteed to come back a ten. On top of that, this success story was made possible by COMC being a BGS Authorized Submission Center. A user sent us this card, and we got it off to Beckett and back to them with a stellar grade – a result that everyone hopes for. We show off a Bowman Black Slabbed card, a nice Logo man, an impressive auto, and a great soccer card. I know I sound like a broken record…Oops, scratch that, Nobody would understand the reference, but I wonder if they got listed if they would have the right names on them.